I have grown up close to nature since I grew up in a province. I love plants and appreciated every garden that I see back when I was a child. I kept on my mind that one day I wanted to have my own house with a very beautiful garden. My grandparents are farmers so somehow I understand a little bit about planting. I haven't any chance to really take care of plants when I was younger. My mom would just ask me to water them and that's all I did. When I get married and doesn't have any choice but to stay in the house and look for our children, that was the time I considered to start my own garden. I only used to grow bacteria in petri dishes back when I was working in the laboratory. Now, I find gardening a good past time for me. We don't have a big space in the place that we are renting. We live in a market place so there's no piece of land to plant. The only way for me was to use pots. Another major problem that I have encountered was where to get soil. I needed to visit my grandfather's house just to have my gardening soil. Through that visit, I even had a chance to choose what plants that I wanted to start with because my aunt and cousins shared varieties of plants they have in their own garden. It was not easy for me to do gardening because I do not have lots of time to do it. Day by day I am spending a little time in my garden to see the result I wanted. I had different experiences in planting and gardening. Some of them successfully grow while others died because I don't know how to properly care for them. Some plants I thought that they will not survive yet I continued caring for it and surprisingly they grow. Most of time, God speaks and teaches me when I am in my small garden. My gardening experiences made me somehow realize how God works in the lives of every believers. We can also read in the Scriptures discussions and illustrations related to plants and gardener. It helped me understand more of how to deal with my daily life as a pastor's wife including our church planting experiences here in Batangas City. 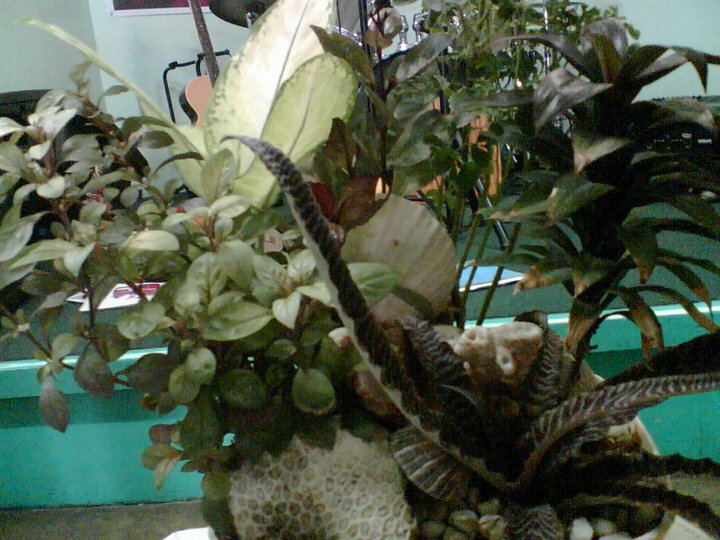 To understand more our church members, I usually compare them to my plants in the garden. Some of them grows fast while some really takes time to grow. Others needed take extra care because of sensitivity while others would continue growing even without much supervision. Some would love to be exposed in the sunlight and others would grow in shaded places. Some would like water and others needed just a little of it. Whatever type of care they needed, I appreciate their individuality. Their distinctive properties makes each of them different that reflects their own beauty. When combined like in a dish garden they create a wonderful symmetry. 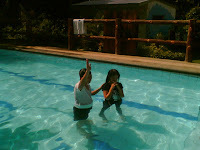 the first step of obedience to be baptized. They are active members of our cell group in Calicanto which is handled by Dorothy every Friday. We are praying for the rest of our new attendees that God will speak in their hearts and will decide to fully surrender their lives to Chirst so they can submit to God's will first through their desire of being baptized and then be a part of ministering in body. We, as entrusted by God to do the church planting ministry here in Batangas City, it is our continuous desire that this ministry will grow as God gives His grace upon us to serve. We are in need of believers who will be willing to step up and be used by God to equip fellow brethren. We are also praying for an associate pastor who would assist and take work of caring in times that our Senior Pastor will not be around because of his mission trips. We thank you for keeping us always in your prayers and for your partnership with our ministry in Batangas. Praise and thanks be to God who prospers the works of our hands and who also use us for the expansion of His Kingdom here on earth. To Him be all the Glory!